Welcome to the HRA website where we hope you'll find everything you need to keep up to date with what's going on and how to get involved with your local community. ​Please note: We try to keep things manageable by not duplicating a lot of information or resources that are available on other local websites. If you are new to the area and want to find out more about Headington (things like local community activities or organisations, education, events, facilities, healthcare, local history, services, shops, etc) why not pop over to Stephanie Jenkins website at: www.headington.org.uk ...where there's a wealth of detailed local information. Find out more about Highfield neighbourhood and community. For a roundup of other local news visit the Headington.org.uk website here and Headington Headlines site here. Click here to see HRAs online calendar which includes our own and other local events. Click here to complete our 2018 questionnaire. It'll help us work towards the needs of our local community more effectively. Picnic lunch, street party games, open gardens, afternoon teas, music and an evening social in the Butchers Arms. 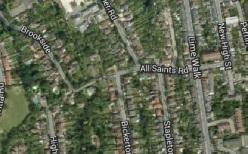 All Saints’ Road will be closed for the day. Further details shortly. Fun event for all the family! "How It Feels To Be Free"
A fun day of activities for all ages. An opportunity to meet your neighbours, explore their gardens and enjoy the quiet streets. Includes buffet lunch, afternoon teas, children's games, street music & tug-of-war. plus an evening social at the Butchers Arms, our local pub. "How it Feels to be Free" An evening of music and readings in aid of charity. Including a talk and discussion on "Future plans for our health services" with Oxfordshire Clinical Commissioning Group. Litterpick carried out by local people & families in the Highfield area. Join Highfield Residents' Association and contribute to your local community. You can get involved by attending, or helping out with local events, having your say on local issues, joining the Garden Group or even by joining the committee. Membership is just £3.00 a year. All proceeds go towards publishing the newsletter to keep you up to date and a wide range of community-based events and activities throughout the year.